Made from premium Italian leather with an ultra soft suede lining. Incredibly slim pouch design which adds very little bulk to your iPhone 8 / 7 / 6s / 6. 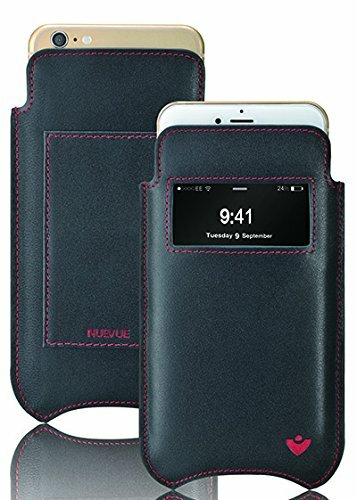 NueVue have come up with an interesting take on the humble iPhone case, as well as protecting you iPhone from key/coin scratches it also cleans the screen! NueVue have lined the inside of the case with microfibres so everytime the phone is put in or taken out it gets a clean. 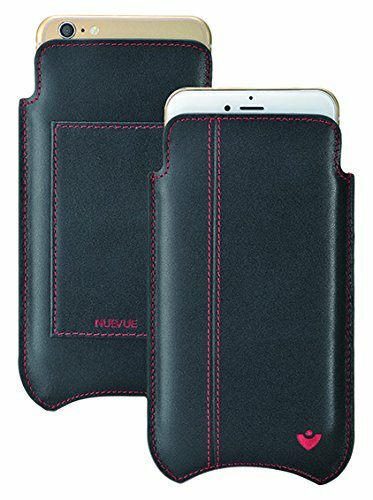 NueVue have created a range of cases in different colours and with different interiors, we tested the brown leather version designed for the iPhone 5, 5c and 5s. 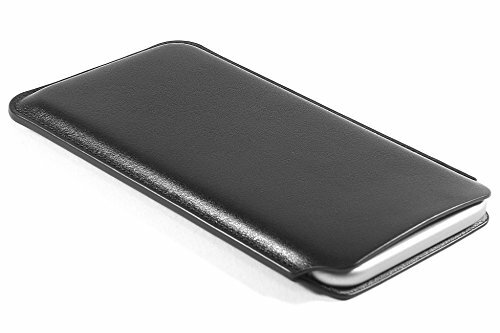 The case is made from quality leather and not only cleans the iPhone but also has a card holder on the back of the case for you to store business cards, debit cards, loyalty cards etc). As most people always have their mobile on them we can see this being a handy feature as it means you won’t forget that essential card. In use, as you can see in the below video, the cleaning aspect works well providing you remember to apply a little pressure horizontally as you remove the mobile from the case to ensure the microfibres clean your screen. It’s certainly a snug fit and the case isn’t designed for someone who like to check their mobile a lot, you have to push the phone out to get access to the screen. The bottom of the case is open and this is where you push the mobile out and allows access to ports on the phone. As this has been designed for the iPhone you can’t use it with another device due to the iPhone 5s unique shape and although not designed to protect your phone from a fall it certainly feels like it’ll add some protection should it tumble to the ground. If you’re not someone who checks their phone a lot and you don’t mind the price then this is a good case to consider for keeping your screen squeaky clean. Slides smoothly and easily onto the phone with a snug and secure fit. Sleeve Case is Designed and Made in England. Recently redesigned with greatly improved durability and construction. Designed specifically to fit the Apple iPhone 6, iPhone 6S, iPhone 7 and new iPhone 8. We love the addition of our handy credit-card slot, where you can easily store important cards and cash, making life just a little bit easier for you! Always protective, never restrictive - now you can keep your phone safe, whilst listening to music and charging your phone at the same time! Easy ejection slot - removes your iPhone fast!! We love seeing our most important notifications in seconds through our handy viewing panel, without taking the phone out the case!